Fortunately for all users of Verizon's Samsung Galaxy S III, which is rolling under the SCH-I535 model number, Android 4.4.2 KitKat is being pushed over-the-air to the device at long last. Note that unlike the international version of the ex-flagship, which sports 1GB of RAM and won't be updated to KitKat, Verizon's Galaxy S III houses 2GB of RAM. The JSS15J.I535VRUCNC1 firmware update does not only bring most of the new goodies that KitKat usually comes with, but also some additional new features on board. The most notable new additions are probably Multi-Window, the handy multitasking feature that allows you to run two apps in split-screen view, and Samsung KNOX 2.0, the award-winning security solution. Apart from these, the KitKat update also brings a wide range of small changes in the user interface – some widgets have been removed and certain apps have been renamed. A lot of existing performance and connectivity issues have been resolved, too. Verizon's Samsung Galaxy S4 mini (SCH-I435) is also receiving the sugary KitKat treatment via a firmware update, which is rolling under the KOT49H.I435VRUBND5 build number. Apart from the KitKat goodies, Verizon has also treated its S4 mini to an additional feature or two. For starters, Google Hangouts with SMS support is now preloaded, the stock Samsung Messaging app has received a nifty Font Size menu, and KNOX 2.0 has been thrown in for good measure, as well. A number of performance and stability issues have also been fixed, most notably the Wi-Fi connectivity bug and the force-closing of Google's Voice Search. 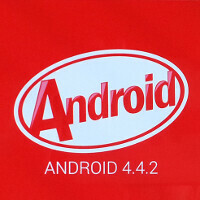 As usual, you should take into account that the updates might not hit your Galaxy S III or S4 mini right away. Hopefully, you won't have to wait much. Kit Kat is supposed to run well on devices with 512 MB of RAM, but Samsung devices with double that can't handle it because of so much crap Samsung stuffs into them. It's sad that all the people with the flagship Samsung device of 2012 with Samsung's own chip won't get the update. Google itself has an 18 month update policy. The s3 is well past that mark. Truth is if you want more updates you can go for an iPhone because on the android front no one updates their phones like Samsung so I don't see what makes you so sad. Cuddles? The problem isn't the lack of an update itself, it's the reason for it. I can accept good reasons not to update a device, but this is a terrible reason. Google couldn't update the Galaxy Nexus to KitKat because Texas Instruments stepped out of the mobile industry; that's a good reason. Samsung can't update the international GS3 because they need at least triple the suggested amount of RAM for Kit Kat to run well because they bloated it so much. There are a lot of people who were disappointed that some versions of the Galaxy S3 had the Snapdragon chip, and went out of their way to get the Exynos version, and now they're being left behind for it. Samsung completely screwed them over. http://www.phonearena.com/news/Samsung-reportedly-confirms-that-its-Galaxy-S-III-3G-and-S-III-mini-wont-be-updated-to-Android-KitKat_id55940 "The Galaxy S3 and S3 mini 3G versions come equipped with 1GB RAM, which does not allow them to effectively support the platform upgrade." - Samsung It is smarty from me, whatever that means. But it has more RAM than the GS3. That's my point. Obviously 1.5 GB is Samsung's minimum for KitKat, while Google's is 512 MB. It's insane how bloated Touchwiz is, it needs 3 times the amount of RAM. What he's saying is its a BS reason from Samsung, just like Apple's lie about why the iPhone 4 couldn't have SIRI. If anyone wants 4.4+ on their i9300\9305, just root and head to XDA. That's how I'm running 4.4.3 on my S3 for the past week or two, 4.4.2 for months prior. That's the truth, according to Samesung the S3 has only 1 GB ram and that's the reason why they don't update it. "...if you want more updates you can go for an iPhone..." More updates doesn't mean that you will get more from them. Quality is more important than quantity. and i didn't mean it that way. truth is android 4.3 is well suitable to be on for at least another year and even has more features than ios8, but what i'm saying is that if you care so much about having an "update" even if that doesn't mean much of a difference, then just go for an iphone and don't whine about a 2+ year old phone not being on the latest software. If you want updated versions of android, flash gpe Roms or cyanogenmod, problem solved, why we have to wait for shamesung to do this? Also they add so many bloatware n make their own devices lag. Leave shamesung , head on to xda n flash gpe ROM or cyanogenmod n problem solved. also we can stay away from slowiz bloatware. We forget most imp thing android is open source so we should not crib about updates as we can flash vanilla android Roms. Its 2014, people are doing these things since 2008 or even before that when we had windows mobile.